According to national laws, acts issued by foreign authorities referring to Italian citizens (a.k.a. atti esteri = foreign acts), an act of birth occurred abroad, a marriage celebrated abroad, etc., must be transcribed in the Registers of Civil Status of the Italian Municipality of interest (Milan, Rome, Turin, etc.). For all requests submitted to the Municipality of Rome (Comune di Roma), the current deadline for the transcription is 180 days from the date of receipt of the transcription request. However, considering the high number of requests that the Comune di Roma receives every day (even several hundred a day), very often the Municipality does not respect this 180-day term. In fact, for some time now, the Municipality has managed to transcribe only “urgent” requests within that period of time. Moreover, we have heard rumors about a possible modification of the 180-day term. It seems, in fact, that the City of Rome, failing to comply with the aforementioned term, will soon increase it up to 1000 days. This term would be in line with other Italian Municipalities. Now, the fact is that if this term were to be really established, it could mean that you might have to wait 1000 days, more or less two years and eight months (if there are no delays), to obtain the transcription of your act. An incredibly lengthy time! What if you need to transcribe an act of marriage in order for your wife/husband to obtain citizenship, or if you have to renew your passport, etc.? You will need to wait years! 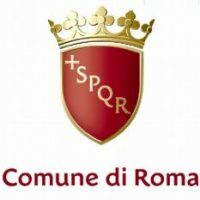 So, if you need to request the transcription of a foreign act from the Municipality of Rome, try to present it before the possible change in deadline takes place. As a matter of fact, although the non-urgent requests may take more than 180 days, you have to consider that, at least for the moment, 1) the term the Comune should respect is 180 days, and 2) after 180 days you can send a reminder to the Comune requesting the transcription. In case of a 1000-day term, you will have to wait a lot more! If you have already submitted a request and 180 days have elapsed without any response, please contact us and we will let you know if, in our opinion, it is possible to submit a sollecito (to solicit the transcription again within a short period of time). If you would like to transcribe your foreign act into the Italian Registers of Civil Status of the Comune di Roma, just send an email to assistance@vademecumitalia.com or fill in the Contact Us form and we can request the transcription for you!